Grab this FREE Halloween Printable. 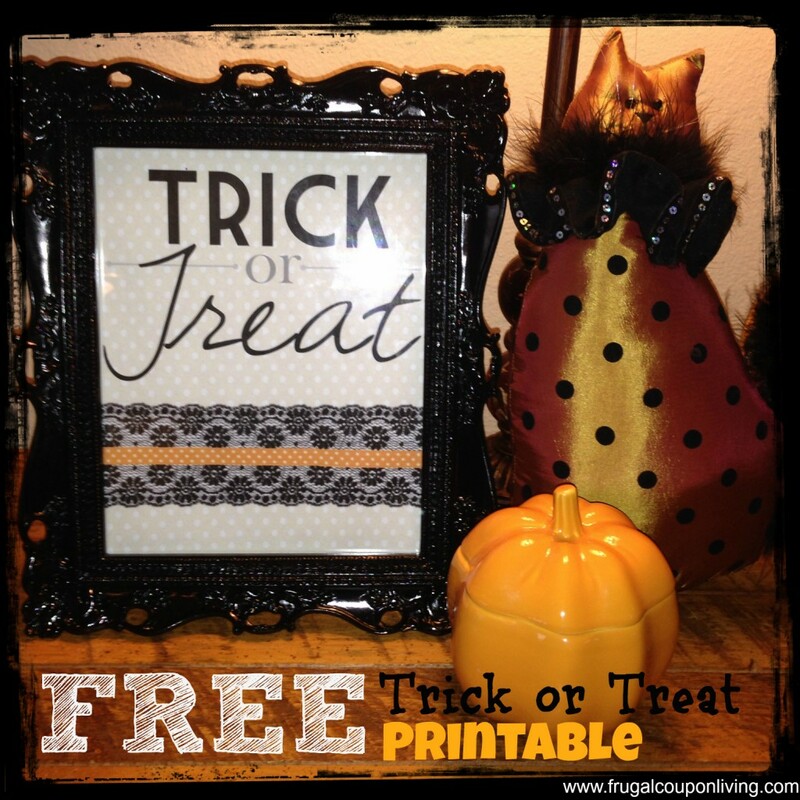 FREE 8×10 Trick-or-Treat Sign from Frugal Coupon Living! Display with a fun frame you have around the house. Spook-ify your display by adding some silk spider webs, or doll it up by displaying with a fun fall cat. Love this, don’t forget these other fun Fall FREEBIES and Deals! Halloween Craft Activities – Round-Up of Dozens of Fun Halloween Treats and Crafts. FREE Halloween Pumpkin Carving Patterns – 75 FREE Templates! 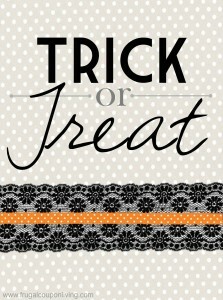 Like the FREE Halloween Printable? Find more FREE STUFF and Halloween Deals on Frugal Coupon Living. How cute and I love free printables. Thanks for sharing at Inspire Us Thursday on Organized 31.